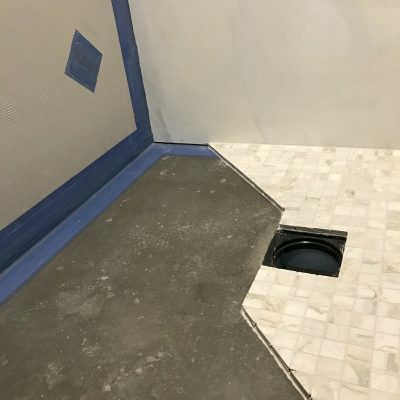 Using the latest intuitive wetroom products to ensure that your wetrooms has no leaks, no black mold and less condensation. Using the correct products is essential to achieving a water tight and long lasting wet room or walk in shower . 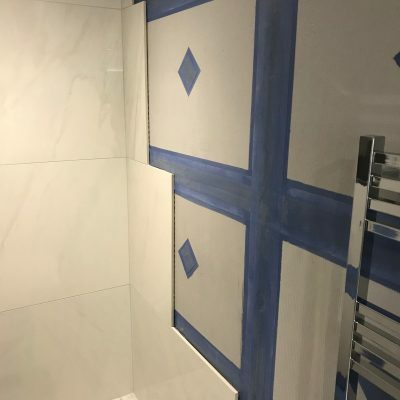 At Harrogate Bathrooms you can be confidant of getting the correct professional advise and service and you can be assured that the finished wet room will stand the test of time. Get in touch now and arrange a free consultation. We secure 12mm specialist boards to the wall areas, then we seal the joints with a waterproof paint and neoprene tape. The wall is now completely water proof, tiles will adhere to it 6 times better than if you tiled onto plasterboard. The tile grout lines will stay clean and not turn black. There is no silicone joint to go black and leak as this is not needed using this system to create your wetroom. 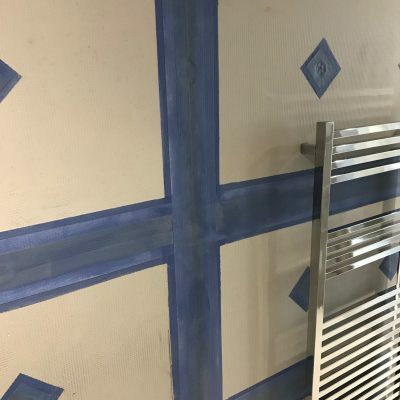 We calculate the exact amount of boards, tape and paint you will need for your wet room so there is no wastage. 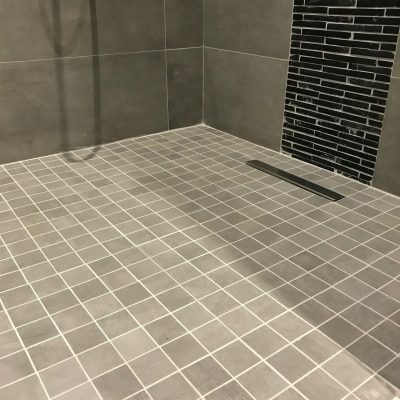 Call into our wet room showroom in Harrogate and view our unique display showing you whats behind the tiles. 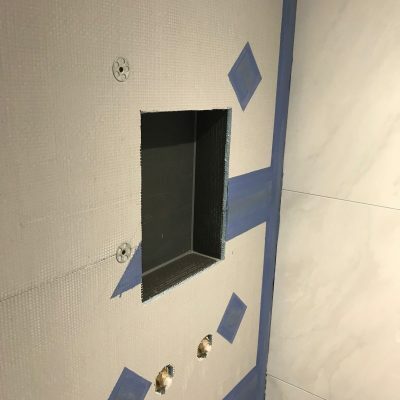 We often incorporate a water proof storage system in the walls of the wet room. These can be used for shower gels and hair products. 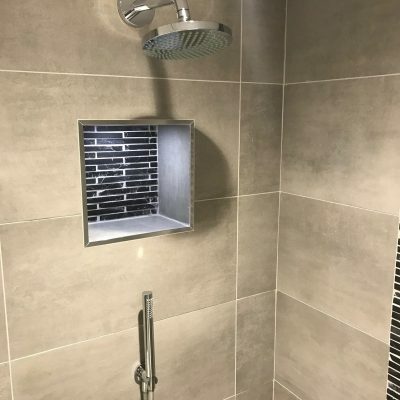 These waterproof boxes are made from the same product that is used on the walls and floor of the wetroom and are ready tilling. A suitable light can be installed prior to tiling. The leading Bathroom and wet room design studio in Harrogate. Harrogate Bathrooms Ltd, 9 Leeds Road, Harrogate, HG2 8AW - All rights reserved.